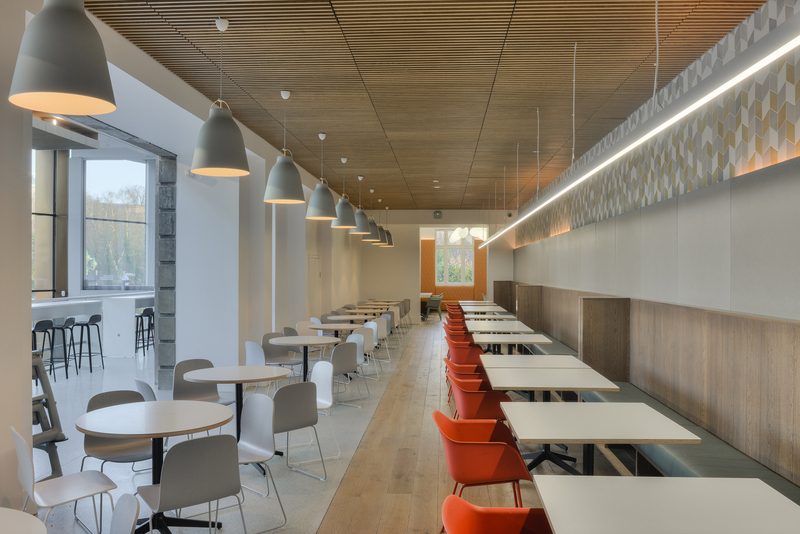 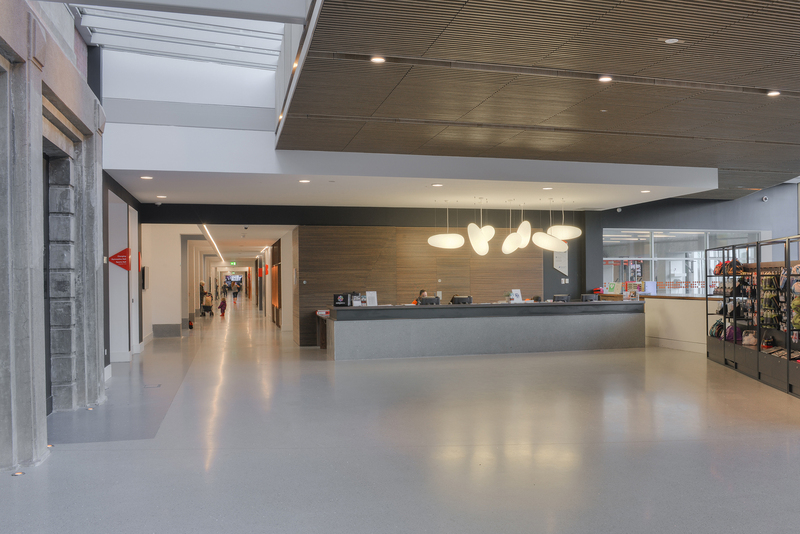 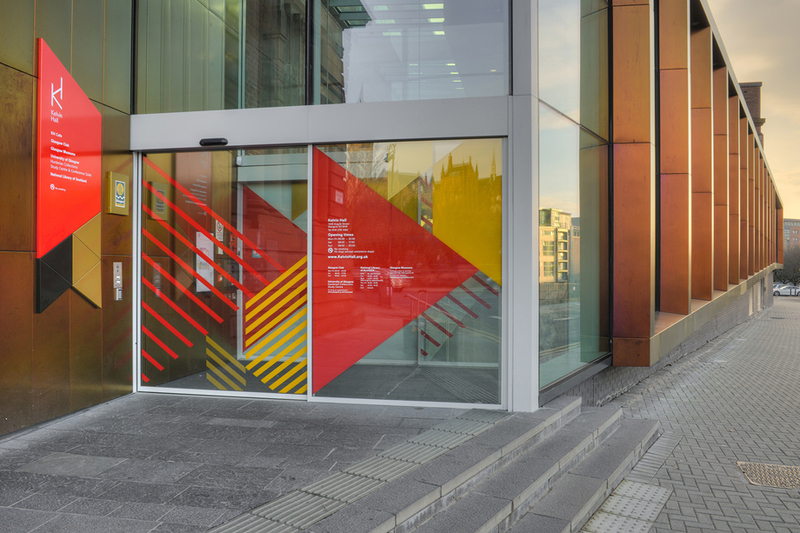 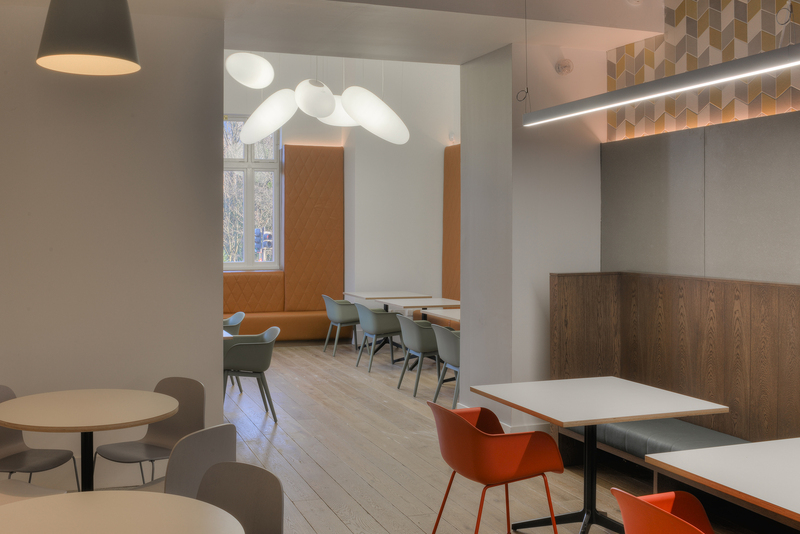 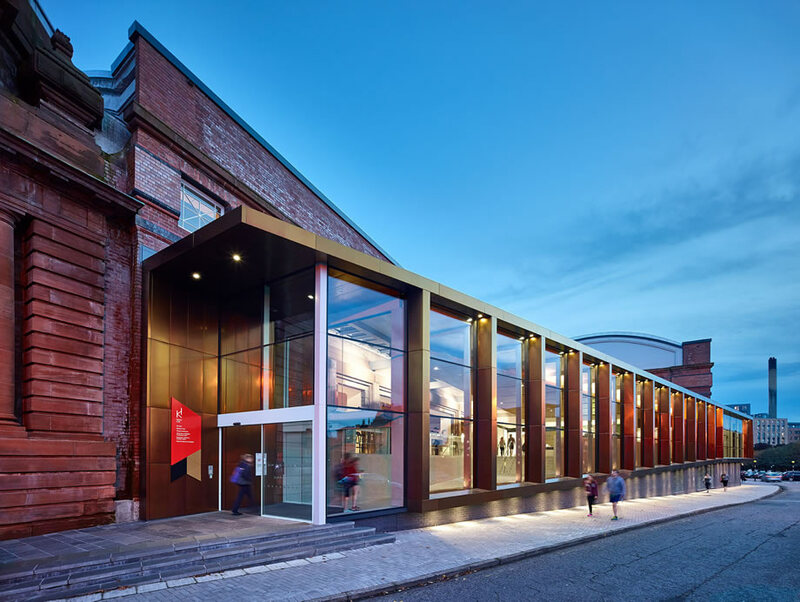 As part of a multidisciplinary team, Graven collaborated with PagePark Architects on the Kelvin Hall redevelopment phase 1, working on the interior design of specific spaces, environmental branding, exhibition design, signage and wayfinding. 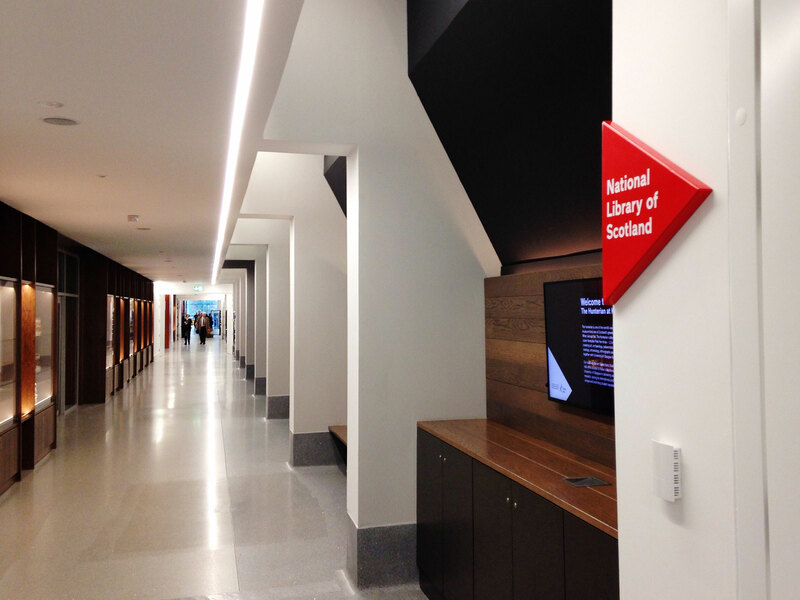 This unique partnership between Glasgow Life (Glasgow Sport and Glasgow Museums), University of Glasgow (The Hunterian) and National Library of Scotland transformed Kelvin Hall into a centre of cultural and sporting excellence. 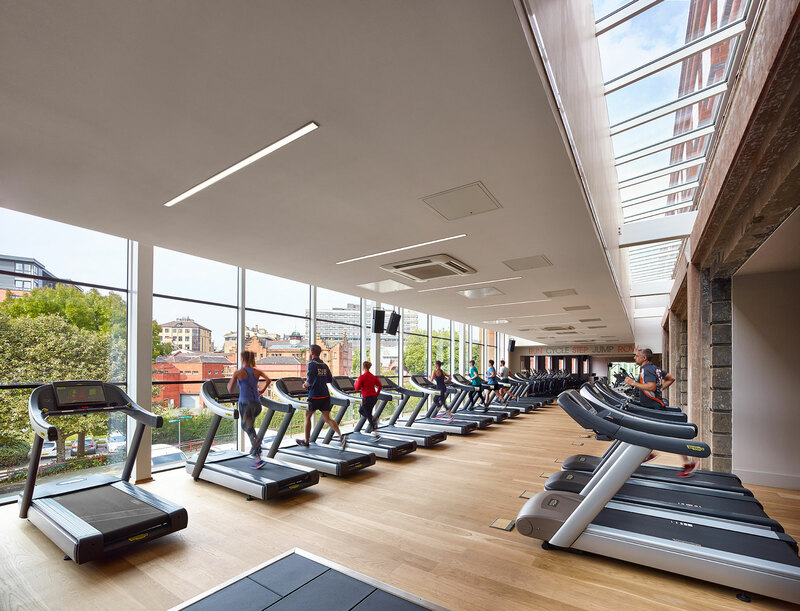 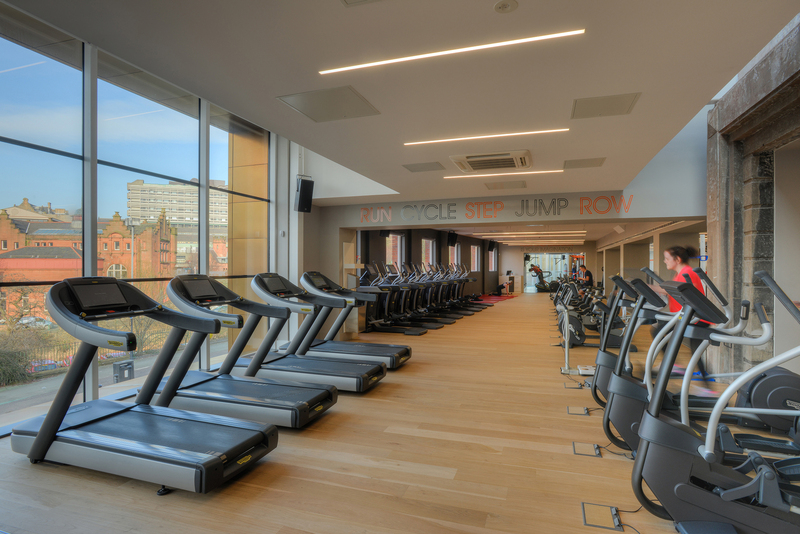 Phase 1 of the Kelvin Hall redevelopment has seen a complete transformation of the original interior including the creation of a state-of-the-art Glasgow Club and community sports centre that is the largest and most advanced Glasgow Club facility in the city. 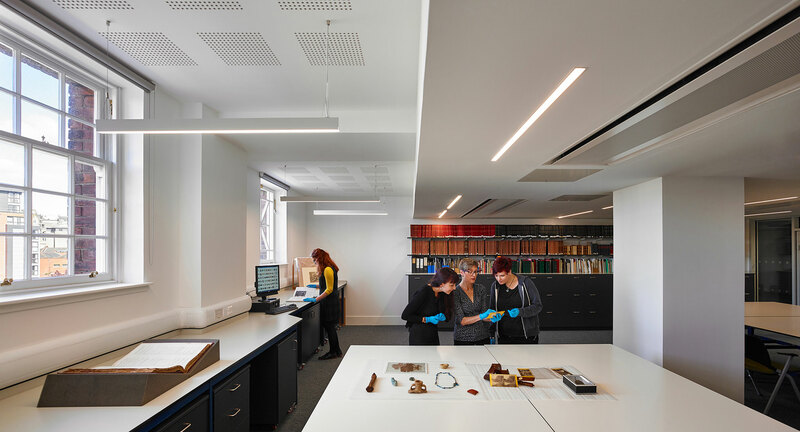 In addition two new museums collections facilities were created to provide a new home for a combined 1.5 million treasures from Glasgow’s civic collection, The Hunterian Museum and those of the National Libraries of Scotland. 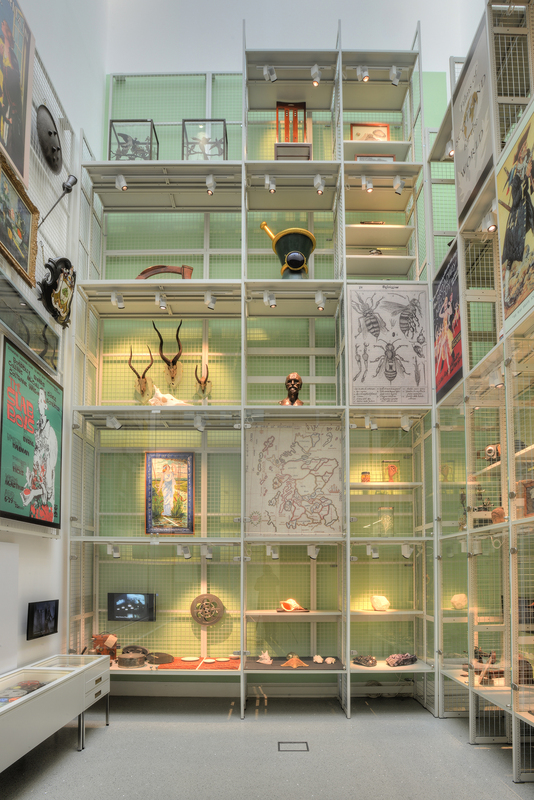 The project will provide archive storage space for both Glasgow Museums and The Hunterian collections and provide office, education, laboratory and curatorial space for The Hunterian and the National Library of Scotland. 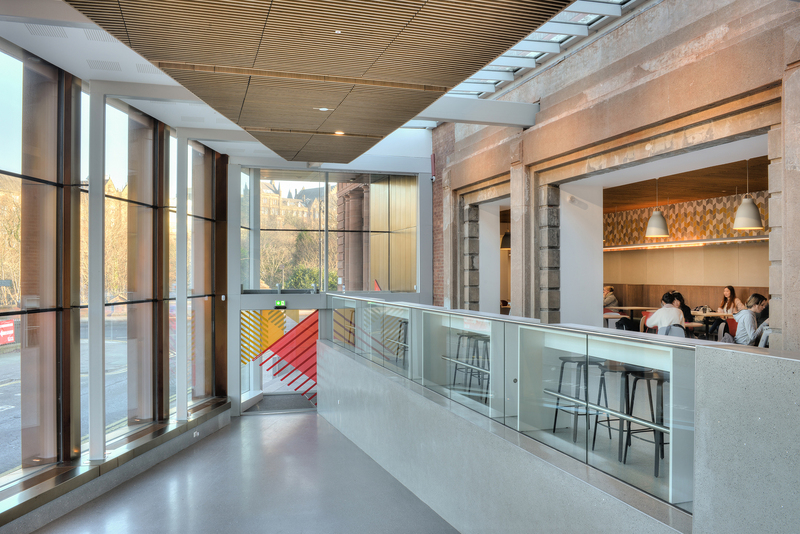 PagePark Architects’ design for the extension and refurbishment forms a grand avenue through the building, with facilities arranged on either side. 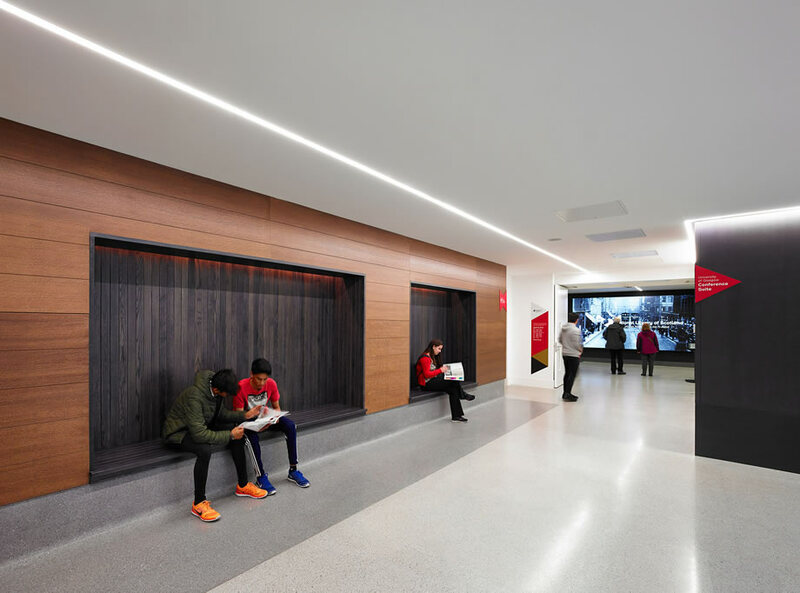 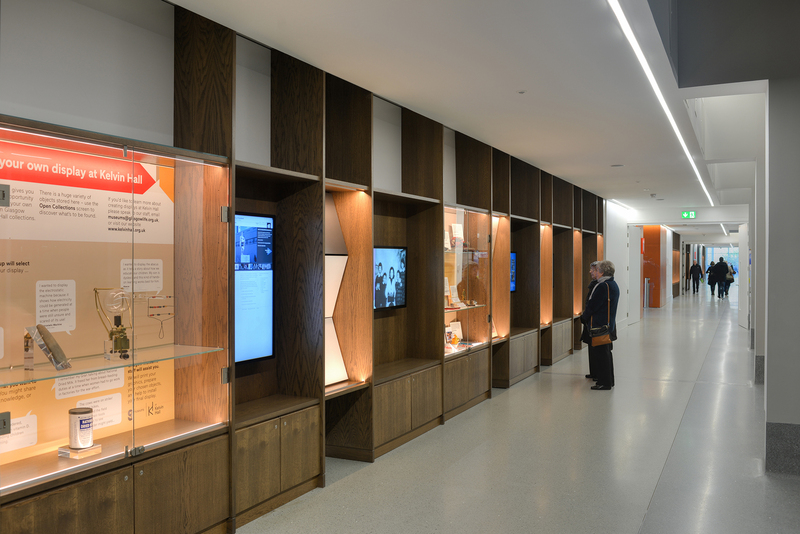 Graven treated this 100m long circulation space as an opportunity to tell visitors stories about Kelvin Hall and its many uses – past, present and future – through interpretive panels, audio visual screens and selected objects from the partners collections. 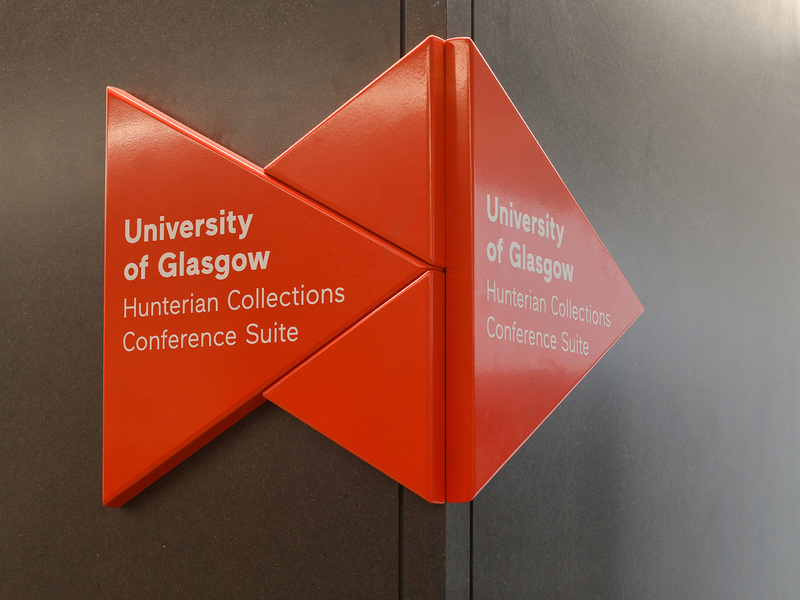 This encourages links between stakeholders in the building and creates unprecedented cross-museum curatorial collaborations. 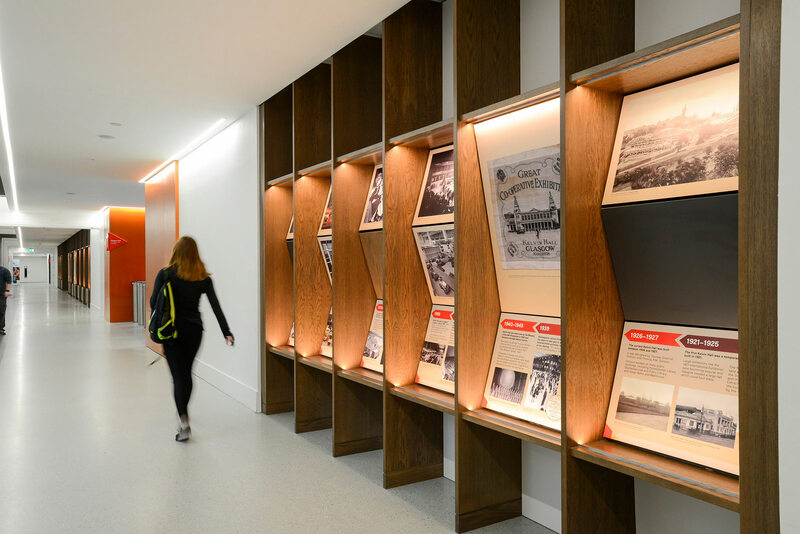 Graven also designed the first “Collections Showcase” exhibition, which uses the full height of the lightwell and an archive racking system as the main display structure. 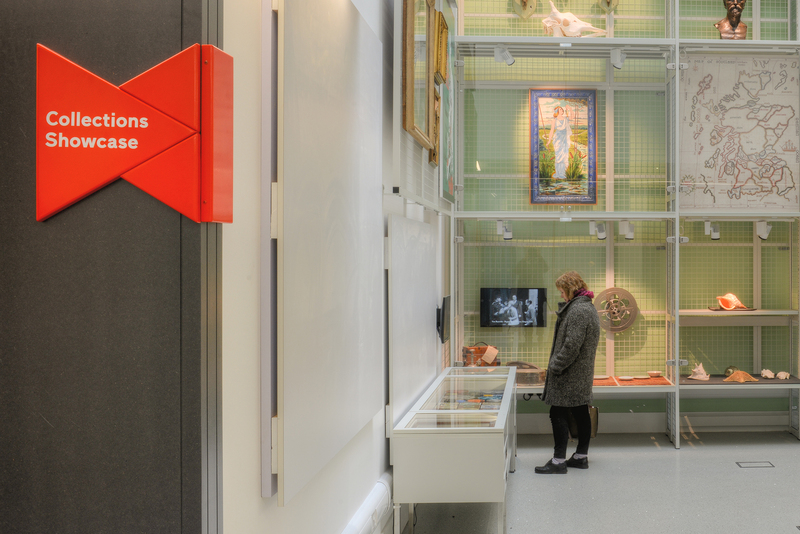 Our curatorial partners enjoyed the way in which the solution allowed visitors to view the objects from different levels. 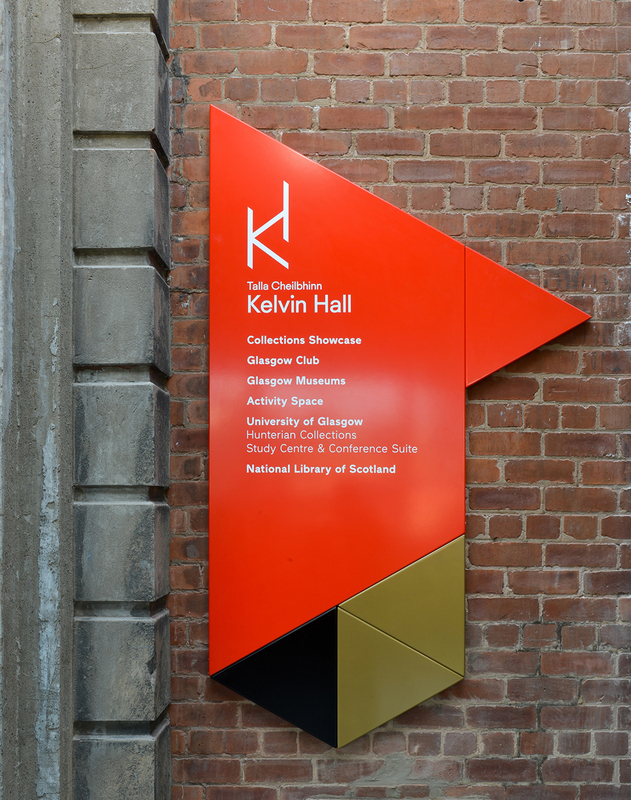 Phase 1 of the Kelvin Hall development opened on 22nd August 2016.